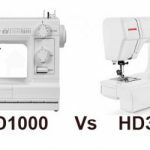 Singer 20U109 is a fast sewing machine. It has the features to become a perfect industrial machine. But still there are some areas of improvement. Singer 20U109 is not for the faint hearted. It is a machine made for industry professionals. Singer’s 20U series machines have been popular among professional sewers for quite some time now. This is a huge investment, so you must make sure that this machine has the quality to return the investment in the long run. 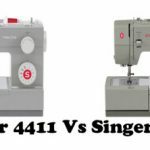 Singer 20U109 has a sewing speed of 2,500 stitches/min (jeez that’s fast). 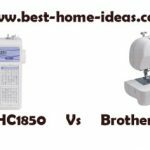 It is faster than any other home sewing machine. The next best speed I found on a home serger was 1500 stitches/min. 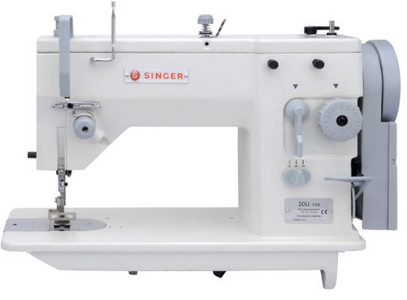 Singer 20U109 comes with an industrial grade motor which is capable of sewing any type of fabric you throw at it. It can go through multiple layers of bulky fabrics with ease. 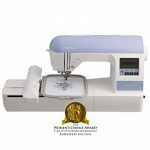 The machine comes with a knee lifter, which is a vital feature for an industrial sewing machine. With the help of knee lifter, you can raise the presser foot up to a height of 9mm, which is really handy while sewing multiple layers. Without the knee lifter, the presser foot can only be raised up to a height of 6.35mm. Knee lifter can also be used to adjust the stitch width. You can move the knee lifter from left to right to taper the stitch. A separate lever is also provided for stitch width adjustment (located on the front). There is no limit to what you can do with Singer 20U109. You can do straight stitching, zigzag stitching, appliquéing, buttonhole stitching, freehand embroidery, narrow hemming, insert zippers etc. Stitch length and width can be adjusted easily. The maximum stitch length for straight stitches is 5mm. The zigzag width can be set to a maximum of 9mm. The reverse sewing lever is conveniently located. 3 needle positions are available on the machine. The best thing about Singer 20U109 is the work space on offer. The tabletop measures 50″ length x 22.5″ width, which lets you accommodate large projects with ease. A dial is provided for adjusting the presser foot pressure. You can easily adjust it to suit the type of fabric used. Tension can also be adjusted without any fuss. High quality H-leg stand provides stability at high speeds. The height of the stand can be adjusted. There is a locking screw for both zigzag and straight stitches. This prevents the movement of the levers at high speeds due to vibration. It is a nice feature as these kind of machines typically run for hours at a stretch. Singer 20U109 comes assembled (including the table), so you don’t need to worry about that part. I have tried the machine with leather and it came out well. The speed at which this machines sews is amazing. I am very much satisfied with the stitch quality. It works well on both lightweight and heavy duty fabrics. The overall build quality is good even though there are some plastic parts. All the working parts are made of metal though. There is no thread cutter to cut the remaining thread. You will have to cut it the conventional way, using the scissors. The machine needs to be oiled manually. It is not a self lubricating machine. The niggles and issues reported by users is the biggest bummer of this machine. Personally, I haven’t encountered any issue at all. But there are people who are disappointed with it. 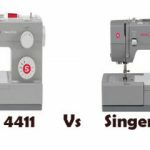 Singer 20U109 is a capable industrial sewing machine for sure. I absolutely had fun with this machine, but the niggles reported by its users makes me a bit wary.